Can I Sell My House In Five Days In Lincoln Nebraska? We all have an idea in our mind of what the home selling process is supposed to look like and how long it’s supposed to take. There are a lot of factors involved but, on average, it tends to take around two or three months to sell a house. But what if you find yourself in a situation where you don’t have that kind of time? What if, because of financial or logistical reasons, you have to sell your house in less than a week? It might sound impossible but it’s actually doable. Here are five things you should consider if you want to sell your house in five days. If you’re selling your house on the open market, the price is the first weapon in your arsenal to make the transaction move quickly. It’s likely to be the first piece of information that buyers take notice of when they see the listing and it’s what provides them with a first impression about the value of the home. So you really want to make sure you are pricing correctly according to the current market conditions as well as compared to similar homes nearby. If you’re in a seller’s market, chances are that there aren’t very many homes for sale in your area. That means that if you price your home appropriately and don’t go way overvalue, you’re going to a lot of attention immediately. Even in a seller’s market, you don’t want to be overpriced, but the good news is that you don’t have to undercut market value in order to get a lot of people interested. If you’re in a buyers’ market, you’re going to have to consider coming in a bit lower if you really want to sell the house in five days. Find out what the going value is for homes like yours in the neighborhood and then see how much lower you’re comfortable going. By undercutting the competition and offering a price below market value, you’re going to draw all of the attention you want to sell quickly. If the home looks great, don’t be surprised if you end up with a cash offer by an aggressive buyer looking to take advantage of a great deal. Of course, you’ll have to be okay with making less money that you might have otherwise. Techniques for tidying up are very popular these days and we suggest you take them seriously. You’ve heard about the importance of first impressions and anyone trying to sell their house in five days has to do everything they can to make sure that impression is a great one. Obviously, you want to clean the floors, vacuum carpets, and dust the walls. But this isn’t about making the home feel good for you. This is about making the home seem ideal for the buyer. That means making things as pristine as possible. Not only cleaning obvious features like kitchen and bathroom counters but also secondary spots where dust collects, such as fireplaces, high shelves, and closets. If the goal is to make sure a buyer feels safe enough to make an immediate offer, you don’t want to leave any tidying to chance. The furniture and furnishings in your house might be perfect for you, but this process is no longer about you. It’s about the buyer now and they need to see themselves in this house as much as possible. If you can afford it, you really should consider hiring a stager to come in and stage your home so it’s in the best possible condition to be sold quickly. They’ll likely bring in furniture, wall art, and accessories that speak a general sense of appeasing buyers, rather than hoping that your aesthetic matches what the buyer is looking for. If you can’t afford a stager, consider doing some of your own. Take down any quirky or potentially offensive furnishings and replace them with muted, tasteful decorations. Set the table as if a family meal is about to begin in order to provide a sense of warmth and comfort. Do what you can to give the house some “life” so buyers can really get the sense of what it’s like to live here already. Let’s face it, if you really want to ensure your home sells on the open market, it probably can’t hurt to do some advertising. Work with your agent to figure out ways you can get premium placement for your listing, whether it’s on one of the major home buying sites online or in local flyers and newsletters around town. You can also invest in signage and put up signs and flyers all over town and in major traffic areas as well. 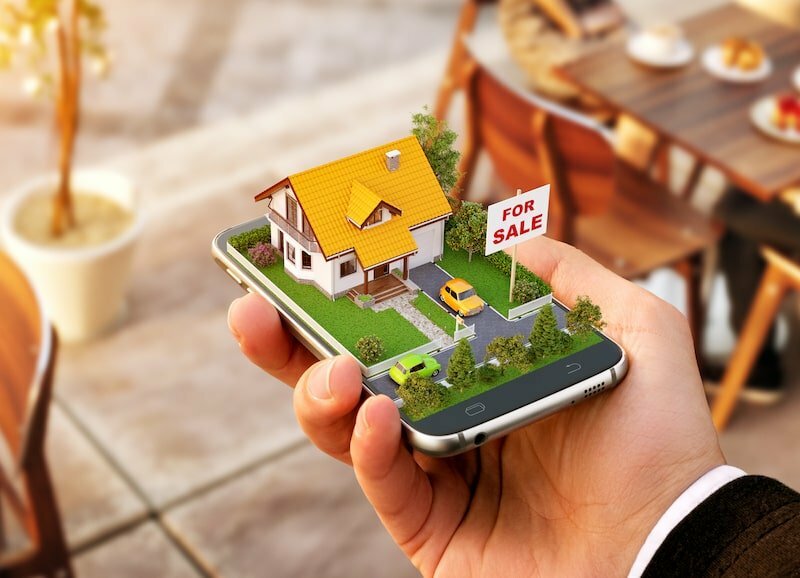 You might even invest in a website that really pops and sells the entire home in a way that a real estate listing just can’t. Of course, all of this is going to cost money, so you’ll really need to consider what you’re willing to spend. Especially if you assume that pricing your house to sell means you’ll make a little less money. Be sure to budget appropriately when thinking about ways to boost your home’s profile so you’re not overspending. There are no guarantees on the open market, even if you follow all the tips above. So if selling your house in five days is a critical threshold, you may want to consider selling your house as-is to an investor. Selling your home as-is is a simple process that guarantees you’ll complete the transaction in a matter of days. You work directly with an investor such as Element Homebuyers, who will make a fair offer on your house, covers all the costs, and pays you cash to buy the house quickly. That’s basically it. No worrying about cleaning up, no need to offer incentives, and no need to put more money out of your pocket to pay for promotion. You just get to sell your house as-is fast and then get busy looking for your next home with cash in your pocket.